Blueberry cheesecake......summer courses are over so I'm hoping to get back to a regular drawing and painting routine, not to mention catching up with everyone! I've missed you and am anxious to see more of you now that your summer courses are coming to an end. OMG! I can taste it. This is a scrumtious sketch. Thanks for stopping by my blog, Debra, as I'm very happy to have been introduced to your lovely work. It seems we like to depict similar subjects in our still life pieces. I'll be a regular visitor now! It looks so good and tasty! Cheers! Yum! Looking forward to seeing more pieces. Beautiful! 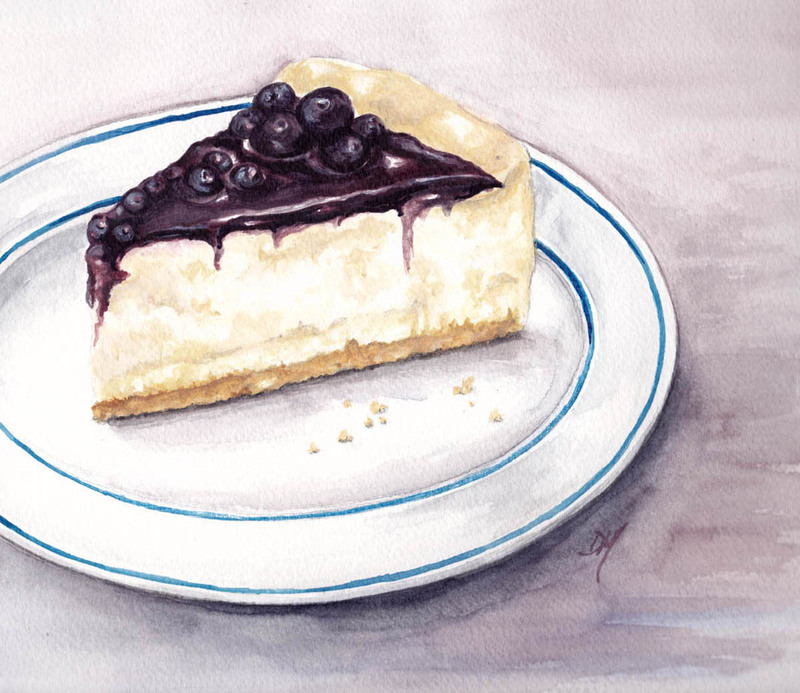 I just started a new site featuring food art and you are my first featured artist! Mmmmmmmmm, my favorite! Deliciously drawn and painted!